The long awaited opening of this brand new school is just days away! As I’ve received many traffic related inquiries, I’m providing a detailed summary of transportation aspects below. PLEASE TAKE EXTRA CAUTION AND DRIVE SAFELY around École South Pointe School! Feel free to contact my office if any of your concerns are not addressed in this update. Any time a new facility opens, vehicular traffic will be congested as people familiarize themselves with the area/ routes and they begin to develop a travel pattern (ie: Investors Group Field Stadium, Ikea, etc.). This is a transportation fact – we will initially experience a higher level of traffic congestion around École South Pointe School. Why? For many people driving to École South Pointe, it will be their first time driving in the brand new community of South Pointe! They will be unsure of what route/streets to use when entering the community, as well as arriving and departing the school. People will not be familiar with the location of school parking, loading zones, street parking, and more. This is a very large school (anticipating 800 students), many of whom will be bussed because it is an immersion school. 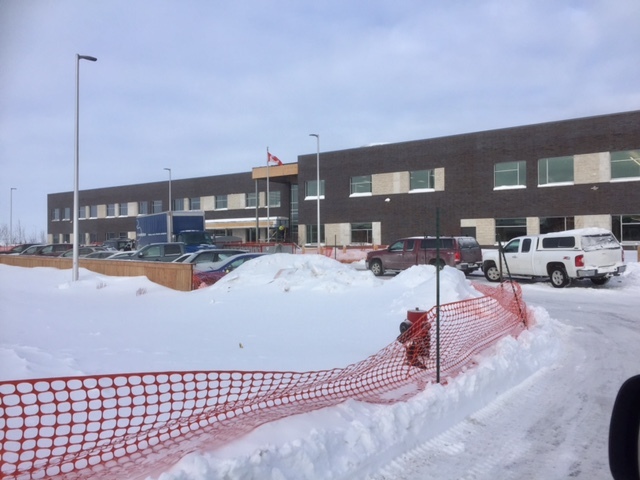 Everyone should fully expect a higher level of traffic congestion to occur at École South Point School for the first few months that the school is open. I estimate it will take at least 2-3 months for people who travel regularly to the school to become familiar with the area and develop a ‘travel pattern’. For people who travel less frequently (i.e. delivery and service vehicles), it will take longer for traffic around the school to ‘settle in’ a regular pattern. A recent example: it took two years for travel patterns to become ‘regular’ at Investors Group Field. It took season ticket holders the first year to learn entry/exit routes and parking option. By the second year end, non-season ticket holders had familiarized themselves with the facility and had developed their ‘travel patterns’. Travel patterns around École South Pointe will also change in spring, summer and fall, as many people who drive in the winter will be walking/biking with children in milder weather. So vehicular congestion will be reduced, but pedestrian/cycling congestion will rise – require new driving behavior and patterns once again. In summary, I fully expect – and so should residents and anyone attending/working at École South Pointe – that it will take about 1 to 1.5 years for a ‘regular travel pattern’ to be established around the school. After the first year-and-a-half, initial traffic congestion issues will change as regular travel patterns to/from École South Pointe are established. At this point, ‘organized traffic congestion’ will become the norm. For those of you who drop off and pick up your children already, you are very aware of the regular congestion which schools experience. Congestion is a huge challenge around schools. School Divisions, School Trustees, School Administrators, Parent Advisory Councils, Traffic Engineers, City Councillors, Provincial MLAs and Federal MPs are acutely aware of it, and are working together to address it. For info, visit PT’s Transportation page for Ecole South Pointe School. I look forward to working with PT administration and trustees to develop a customized École South Pointe School ACTIVE TRANSPORTATION School Travel Plan – with the goal of seeing active transportation routes and information on the Transportation page. I am not aware of the School’s plans for traffic guards/patrols, but expect to receive an update at some point. I expect you will see staff guiding traffic initially. Please be respectful and adhere to their directions. Undoubtedly, as traffic patterns develop and the residential community grows, traffic infrastructure improvements will be required (i.e. cross walks, stop signs, etc). The need for crosswalks and other traffic control devices in the vicinity of the school on non-regional streets will be monitored by the City. The Winnipeg Public Service/City engineers assess both the need and criteria for new infrastructure, under a detailed analysis process. New infrastructure is installed if the NECESSARY CRITERIA is met according to national transportation standards. Controlled Intersection of Waverley Street & Tim Sale Drive: SEE the Winnipeg Public Service/Engineers’ report on Waverley and Tim Sale. Because traffic control signals are not warranted at this time, the Winnipeg Public Service will conduct a subsequent traffic study once the school has opened and the new vehicular/pedestrian traffic pattern has been established. This is currently anticipated to occur in spring, 2017. 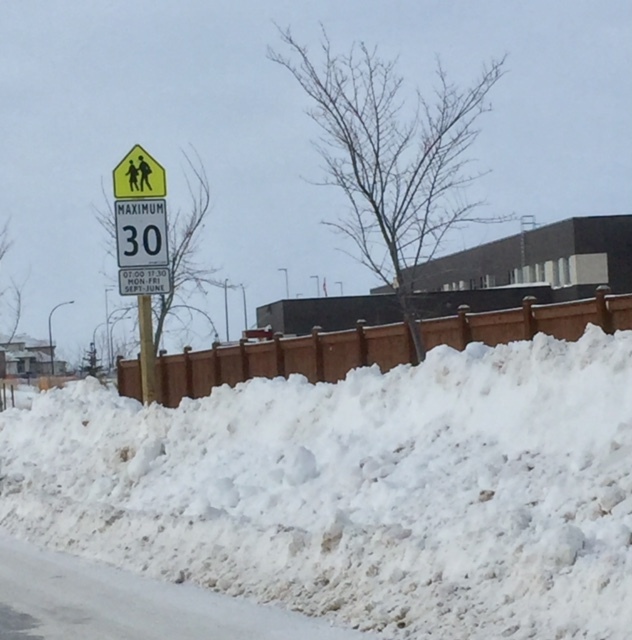 School Zone Signage on Waverley Street: The Winnipeg Public Service has implemented a signed School Area on Waverley, adjacent to the flanking school site in accordance with administrative practices. A reduced speed school zone will not be implemented on Waverley Street because it is a Regional Street and does not conform to the Council-adopted criteria for implementation of reduced speed school zones. School Zone Signage on Tim Sale Drive and Kirkbridge Drive: Reduced-speed school zones will be implemented on Tim Sale from approx. Waverley to Kirkbridge, as well as on Kirkbridge from approx. Tim Sale to midway between Trailside Crescent and Waterstone Drive/York Valley Way. These roadways are Non-Regional Streets and conform to the Council-adopted criteria for the implementation of reduced-speed school zones. I am more than thrilled to announce that Winnipeg Transit will be expanded into the South Pointe Community starting in the FALL of 2017. Securing transit funding has been a huge priority of mine and residents! Transit funding was approved in the 2017 budget process. See the report and route for specific details. PLEASE NOTE: The above report was prepared in 2015 BEFORE the completion of Stan Bailie Drive and École South Pointe. Route changes are currently being reviewed for South Pointe, and I expect Winnipeg Transit to provide a positive update in the coming months. Transit has been receiving great input from local residents, and I’d like to thank all who have spoken with me on this issue. PLEASE DRIVE WITH CAUTION. Snow banks are extremely high. Due to the extraordinary amount of snow this past month, the City is working around the clock to remove banks of snow and clear sidewalks across Winnipeg. As of January 6, 2017, sidewalks around the school are plowed, but snowbanks are still very high! In the 2014 budget, after much advocacy and lobbying by many, the City increased funding for snow removal to enable Priority 2 level sidewalk and snow bank removal around schools. I was very involved in this initiative. Pathways in the Ken Oblik park system will not receive snow removal this year. Over the past 10 years, the City has built an tremendous amount of new pathways/trails in the City’s parks, but the City has NOT funded the snow removal on any of these new paths. See a MAP of the park pathways that are cleared in South Winnipeg – St Norbert Ward. See a MAP of park pathways that are cleared throughout the City. Not many pathways are cleared. I requested the Public Works department to review the current snow clearing policy for sidewalks and pathways, and report back with estimated costs for improvement. I expect the report to come forward in March, 2017. It’s my goal to see an increase in the City’s snow removal budget, dedicated to snow removal on pathways in the City’s parks and to improving overall sidewalk snow removal. In summary, the park pathways will not be cleared in South Pointe this year – but I’m working to see they are cleared next year. There is no other school in Winnipeg that is so well connected by pathways and sidewalks. These sidewalks and pathways will be extremely useful in helping to reduce vehicular congestion – even more so when the park pathways are clear in the winter. I have committed to working with Mr. Spiers (Physical Education teacher) to develop a bike program as he has done in other schools. I worked with Pembina Trails School Division (PT) on many other active and safe routes to school programs and will continue to do so. I was very pleased to see PT accommodate my request to expand the bike parking facilities at École South Pointe during construction. Safe transportation around schools is very important to me. I spent 7 years (2008-2015) prior to being elected working on improving transportation to/from schools for students, and continue to work on this issue today. I championed a pilot project with the City, Province and Federal government, where I studied three schools in the Fort Richmond area for two years and worked to implement over $1 Million of new SCHOOL RELATED transportation infrastructure (i.e. crosswalks, sidewalks, stop signs, controlled intersections, etc.) See infrastructure improvements that resulted – and more are in the works. I am currently working with the Winnipeg Parking Authority on an initiative to see heightened enforcement around schools – stay tuned for news in the coming months on this. My work in this area has been recognized – Nominated by the Trustees of Pembina Trail School Division, the Manitoba School Boards Association recognized me for the President’s Council Award. I also received the Active School Champion Award from the Green Action Centre’s Active and Safe Routes to School Program. Safe transportation is a huge issue, and I am hosting a forum on road safety strategies on January 30. The event is open to the public, and I encourage everyone to attend! I look forward to working with the new Parent Advisory Council at École South Pointe School, Pembina Trails School Division, Trustees and provincial MLAs on traffic, playgrounds and other school related projects! These are exciting times for sure! !